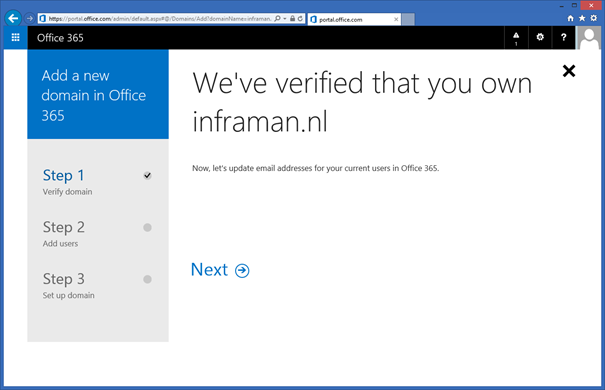 When you send an email your email address will be admin@inframan.onmicrosoft.com, not nice but it works. Click Next and the wizard will show you a DNS record. 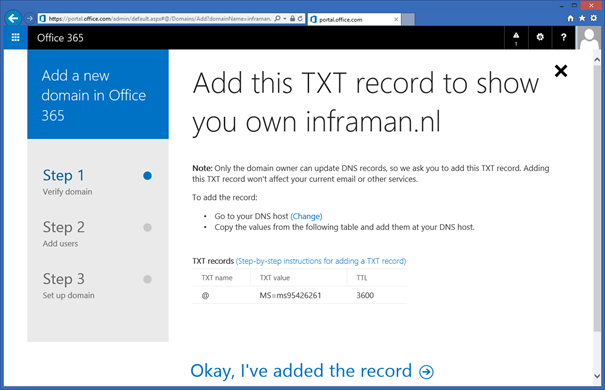 As a proof of ownership you have to enter this TXT record to your domain in public DNS. Click Next to continue to update user accounts with the new SMTP domain, if you don’t want to do this right now click skip this step at the bottom of the page. This is what I typically do at this stage. 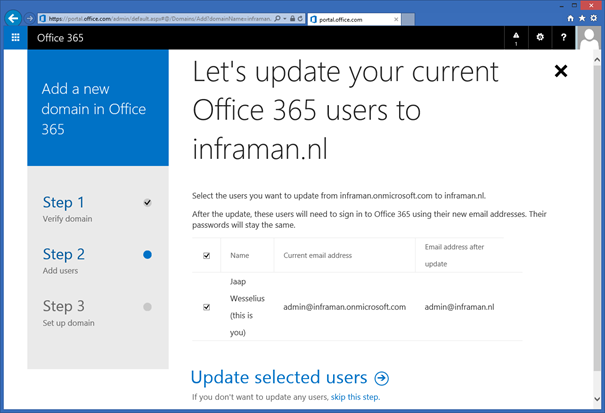 You can also create new users accounts, but when you don’t want to at this point click the skip this step at the bottom of the page. 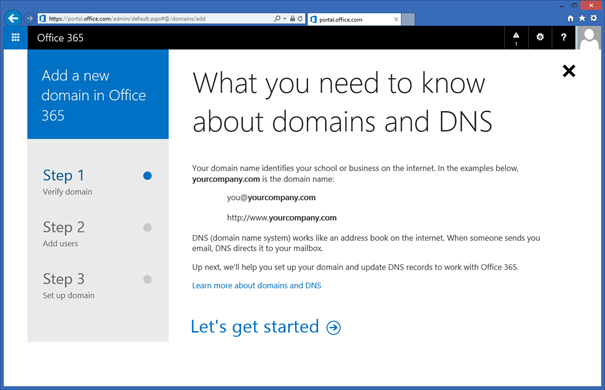 The last step is to update your public DNS with the proper records. In the Get ready to update DNS records window click Next to start the DNS records wizard. 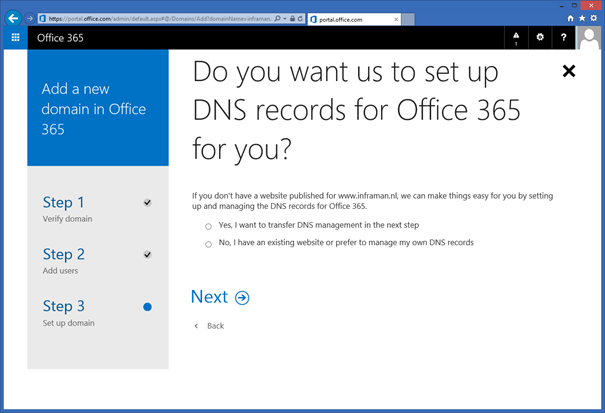 Assuming you don’t want to transfer your DNS to Microsoft select the No, I have an existing website or prefer to manage my own DNS records option and click Next to continue. 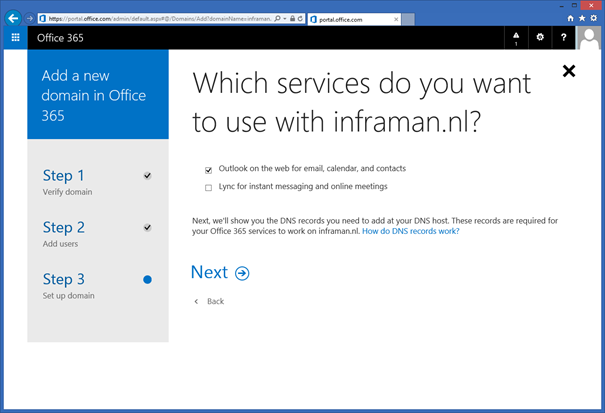 You can configure DNS for both Lync Online and Exchange Online. 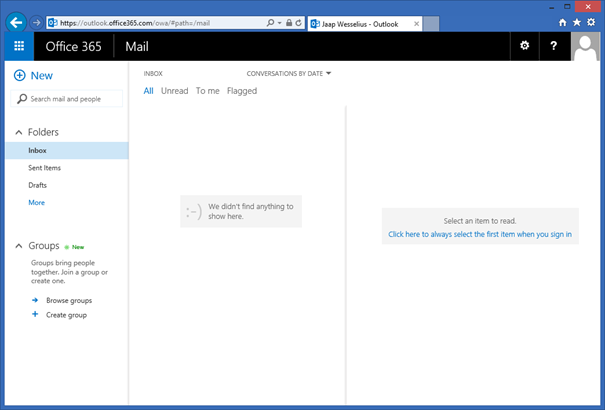 For now, only select the Outlook on the web for email, calendar, and contacts checkbox and click Next to continue. 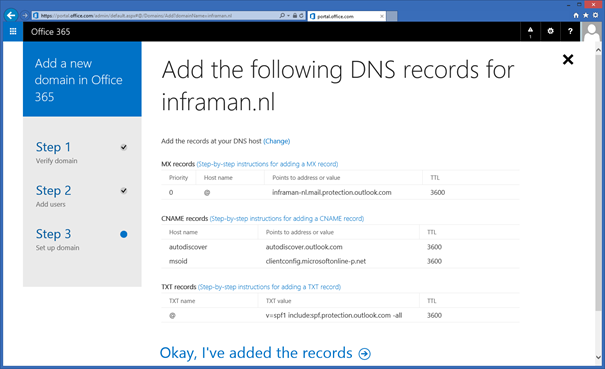 When you’ve added these records to your public DNS (again, you have to take replication into account) click on Okay, I’ve added the records to continue. 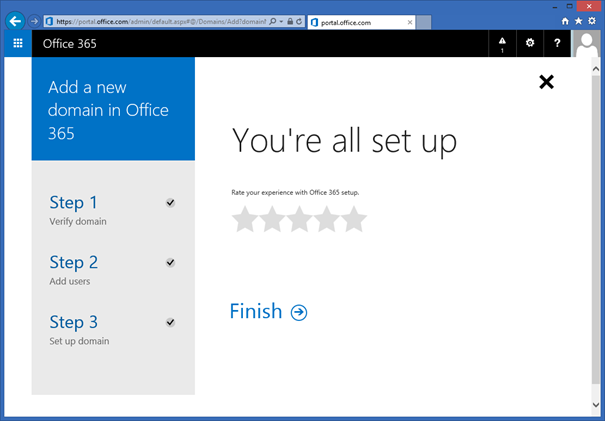 When all is well you’ll see a You’re all setup message and you’re done, click Finish. 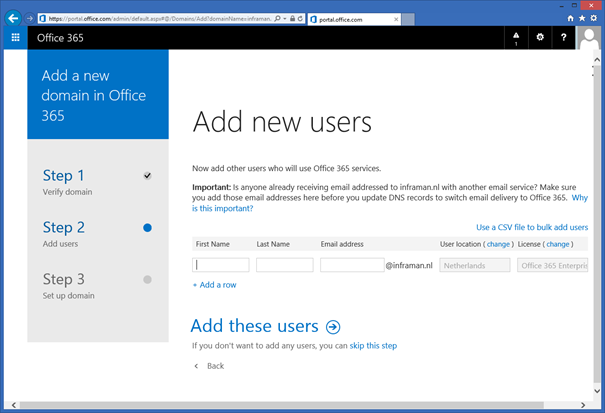 In my next blog I’ll explain how to add users, both single users as well as bulk users using a CSV file.